Seabirds are arguably the most threatened group of birds on the planet and conservation scientists all around the planet are working to understand how we can better protect this group of animals. 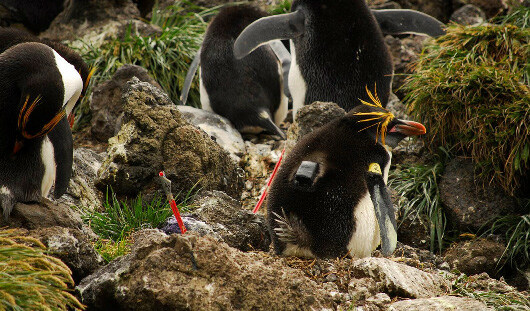 Many studies involve tracking the movements of these highly mobile birds using a suite of tracking technology (telemetry). CEED recently joined forces with BirdLife International to run a workshop on the use of tracking data to define marine protected areas (MPAs). The workshop formed part of the 2nd World Seabird Conference in Cape Town, South Africa held in October 2015. Around 150 people attended the workshop. Participants ranged from senior scientists to students and NGO representatives. Seabird declines are being driven by a range of threats both on land and at sea. On land, nests are raided by invasive species such as rats and cats, and at sea climate shifts and fishing reduce fish stocks and the availability of food. Seabirds are also often snared in the fishing gear being deployed by boats (it’s estimated around a million seabirds die this way every year). As nations race to meet the goal of establishing 10% of their territorial waters as marine protected areas by 2020 (Aichi target 11), the ‘game is on’ to ensure those protected areas are actually conserving threatened seabird species. “There is an opportunity and need for researchers and conservationists working on seabird conservation to communicate what the priorities are,” says McGowan. 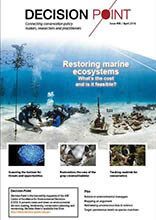 “There’s a need to make data available to the global effort to design networks of MPAs. Seabirds, like migratory waders, often require multiple distribution maps that reflect their feeding preferences in different seasons and age classes. Indeed much of the hard won data collected by seabird ecologists can inform these maps and the vast majority of the talks at the conference presented new insights on species distributions. ‘Degraded’, or is it just different? Who makes the best decisions? How often, how far, how risky and how biased?